Rock Hill is a great picture of our divided, diverse and spiritually hungry nation. The town has a rich history of blue collar mills and strong Christian character. As the town mills closed, the strong churches began slowly to decline. With the growth of Charlotte, Rock Hill has begun to emerge as an excellent choice for new businesses and technological companies. 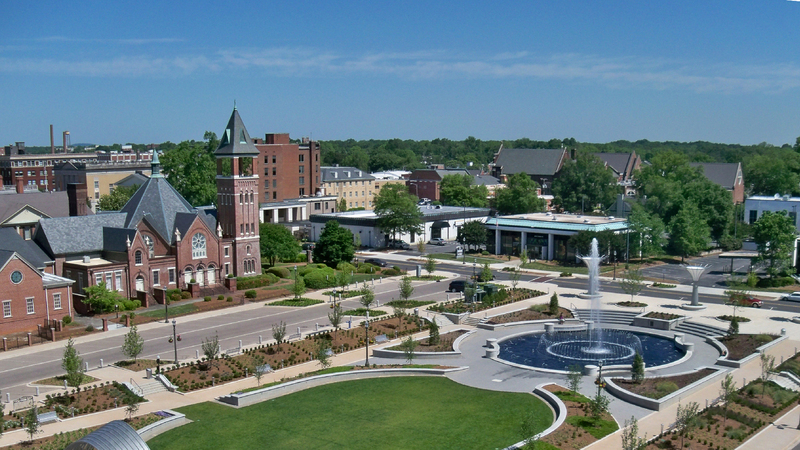 The city is now a blend of a strong working class, young college educated professionals, a dynamic college in Winthrop University and an urban community filled with violence, neglect and great need. Park Baptist Church is comprised of baptized believers in the Lord Jesus Christ with a strong passion to make disciples who make disciples. We strive to do everything, whether word or deed, in the name of the Lord Jesus Christ through the power of the Spirit to the glory of God the Father. We believe that God has given us a perfect record in the Holy Scriptures to provide us with all that we need for life and godliness. We desire to live as a holy and faithful community as we seek to fulfill the Great Commandment and the Great Commission. Park has historically been an older congregation, but in recent years has experienced a dramatic impact among college residents and young families. Park is now a growing multi-generational church that has renewed a passion for expository preaching, biblical discipleship, compassionate evangelism and for an authentic life-giving community. Park is now a growing multi-generational church that has renewed a passion for expository preaching, biblical discipleship, compassionate evangelism and for an authentic life-giving community. We hope to begin taking Generation LINK Residents in the 2017/2018. We plan on them serving in a variety of roles from College and Children Ministry to Small Group and Member Care and Evangelism. We desire to grow people’s hearts for the local church and a deep desire to see God manifest His glory in and through His church. We would love to see more Generation LINK Residents jump on board to pursue college residents, worship, and missional opportunities. It is our desire to train and equip our residents to fulfill the calling God has placed on their lives. We have ministers who have excelled in church planting, church revitalization, a traditional church setting and collegiate ministry. We hope to provide practical experience in your desired area of ministry. The Residency will help residents see how theology drives methodology. It also is designed to help grow Christian character in the men and women that participate. Residents need to grow into godly husbands and wives, mothers and fathers if they are going to effectively be leaders in Christ’s church and effectively fulfill the Great Commission. Pastor Dave Kiehn began his ministry at Park Baptist Church on July 1st 2012. He previously served as the Residential Director of the New Horizons Family Center, a group home for teenage mothers and their children in the foster care system. He graduated with a B.A. in Intellectual History from the University of Pennsylvania and received his Masters of Divinity at Southeastern Baptist Theological Seminary. 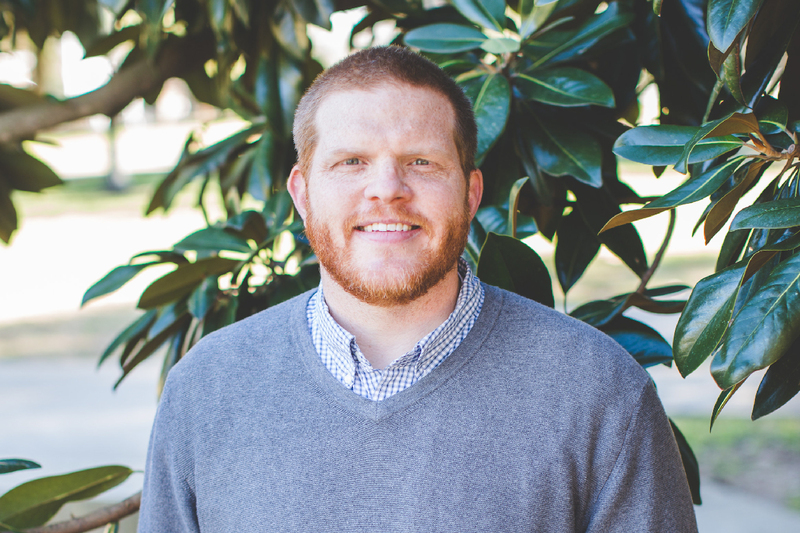 Pastor Dave is currently pursuing his PhD in North American Missiology as SEBTS. He authored several books on Biblical doctrine and the Church. He is married to his beautiful wife, Ellen, and they have three children, Elizabeth, John David and Olivia. Summer LINK Rock Hill works along side of Park Baptist Church and others to impact the Rock Hill community with the gospel. We desire every man, woman and child to have repeated opportunities to hear the gospel of the Lord Jesus Christ and to connect them to a gospel-preaching, biblically faithful local church. Summer LINK Rock Hill is looking for 10 -15 passionate college students who have a desire to see lives changed by the gospel and who are committed to the local church. They will be given meaningful ministry responsibilities in outreach, discipleship, and worship. They will grow in community with each other and the church body, and they will grow in their own personal faith and discipleship. The Summer LINK participants will also have an opportunity to work a full-time job and serve the local church. We will work to provide free housing to all Summer Link participants either in a host home or in a facility owned by Park Baptist Church. Summer LINK Rock Hill requires all participants to cover the cost of the mission trip to Boston ($200) and Charleston Debrief ($300) (Please contact us if you are concerned about the cost. We do have some scholarship funds available so do not let finances hold you back from participating.) These funds cover resources your cost for the full-week outreach mission trip to Boston and our end of the year celebration in Charleston. Come join us!